Solar powered electric launch using CLC Southwester Dory plans. She has a 3-hp Torqeedo motor mounted in a well as well as Torqeedo solar panels. 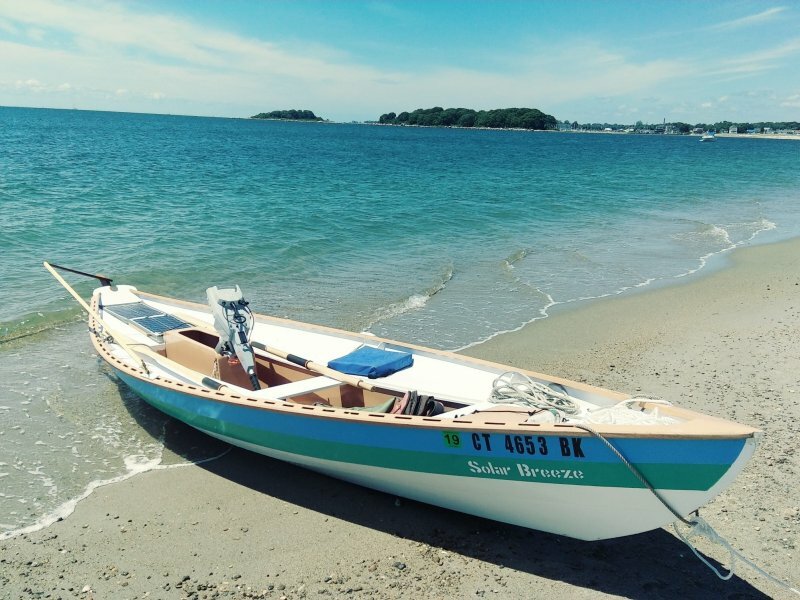 Shaw and Tenney oars and a sprit rig provide towing and sailing options as well. A Norwegian tiller runs fore and aft.